Despite the recent boom in meat replacements like Impossible Burger and Beyond Meat, there’s a long way to go in convincing people to eat alternative proteins. Companies that produce seitan, tempeh, tofu and other vegan proteins must undo years of cultural conditioning that regards these products as unappetizing, niche and highly-processed. We take a look at how a handful of artisanal alt-protein producers employing packaging to educate consumers about how these foods are delicious, natural and nourishing for everyone. Upton Naturals produces setian and jackfruit products, which are available in a range of commercially-aware flavors like Thai curry and Sriracha. Each comes packaged in a relatively thin, slightly squarish cardboard container. The cardboard is uncoated, giving it a retro feel, which is reinforced through the graphic designs. Packages show a line drawing of a mustached man, presumably Mr. Upton. On each package, the length and shape of his mustache changes, adding contemporary humor to the retro vibes. 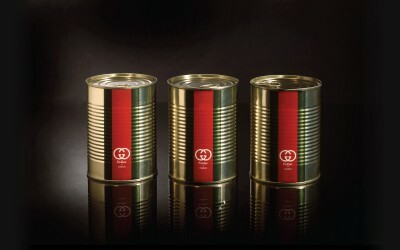 While humor is important to the brand’s ethos, the front of the package showcases the food itself. One half presents Mr. Upton’s portrait, the other half showcases the product. 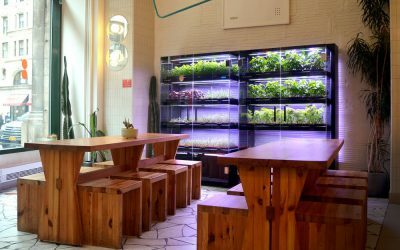 There’s a transparent window through which customers can check their seitan or jackfruit. This window encroaches onto the portrait side, as does the banner with the product’s name. Underneath, a combination of old school script and modern sans serif fonts points out the product’s healthful attributes: vegan, high in protein, low in fat, no cholesterol. Even when describing the health benefits, Upton Naturals presents their seitan as a modern product, with an old-school appeal. 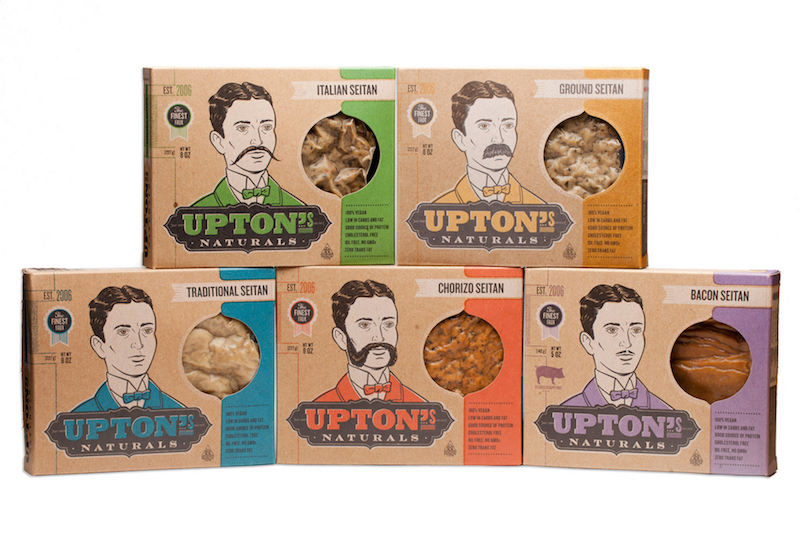 This combination of a contemporary attitude and a vintage aesthetic allows foods like seitan and jackfruit to overcome the customer bias that dismisses them as ‘hippie food’ or ‘fake food.’ Upton Naturals can make modern jokes, but can also provide you with real, old-school nutrition. Although teased as a sad turkey substitute, Tofurky has redesigned their packages and added new products to appeal to both old-hat vegetarians and new converts. Not only do they sell processed tofu products such as deli slices, hot dogs and veggie burgers, they also have a line of flavored and unflavored tempeh. 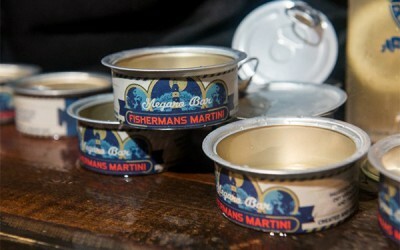 The flavored and unflavored versions are packaged differently; the latter is image heavy, the former text heavy. If you’re buying sesame garlic tempeh, you’ll find a window on the package that shows off the product and a photograph on the side that offers a preparation suggestion. In comparison, unflavored tempeh has an entirely clear back to examine the product, while the front has a description on one side and nutrition facts on the other. 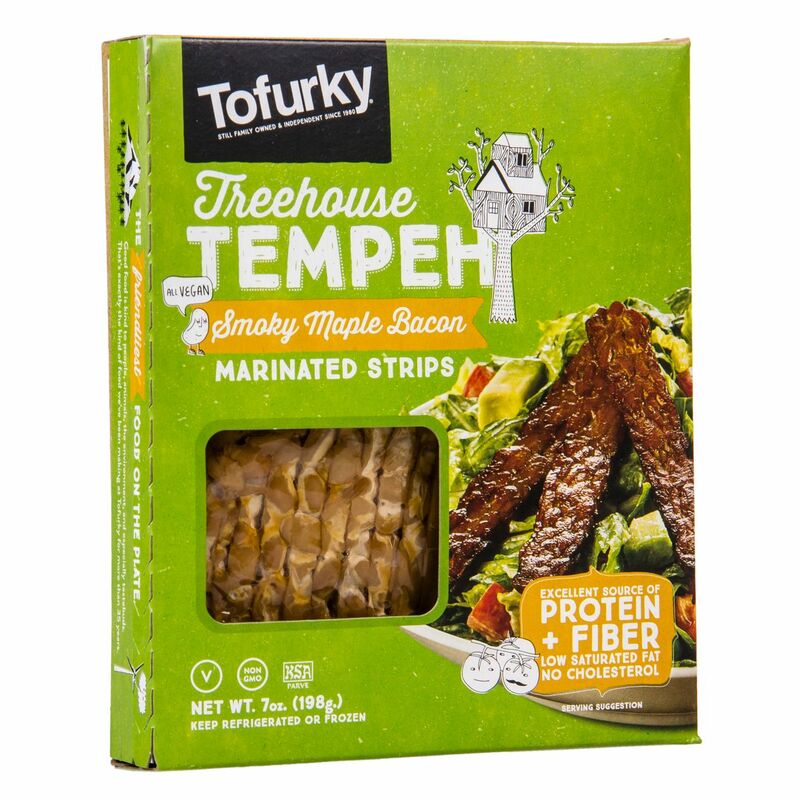 This can be seen as the two different customers Tofurky targets: the sesame garlic tempeh buyer isn’t familiar with the product and needs some help to prepare it, the plain tempeh customer is familiar with it, but still wants to be reassured that Tofurky’s product will meet their nutritional expectations. 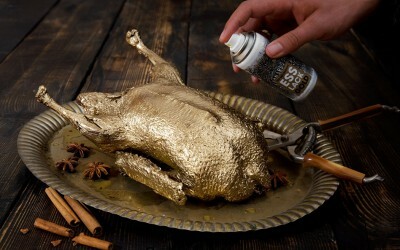 Like Upton Naturals, Tofurky blends graphic elements to represent their product as modern, eco-conscious and wholesome. The green background connotes earth-friendliness, while the combination quasi-wood blocked type and script gives it an old-school vibe. Rather than buying a scary mass-produced product, Tofurky uses these subtle design cues to present their product as wholesome, derived from the earth and more natural than the factory farmed meat you’re used to. 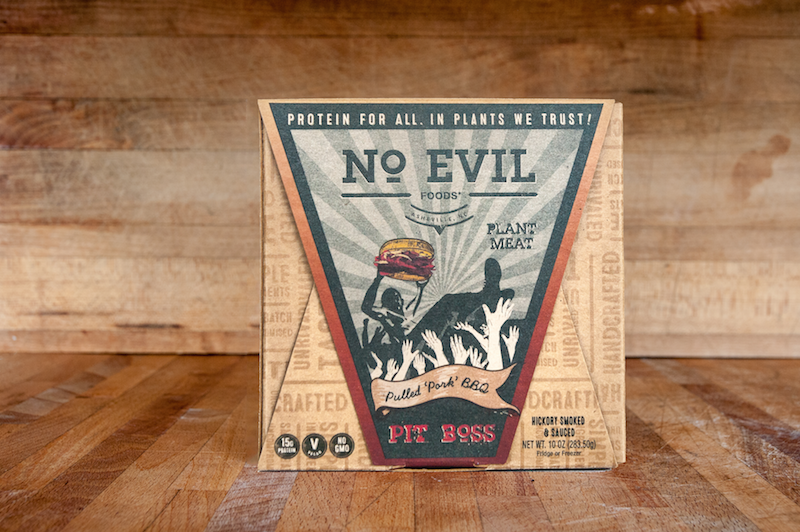 Based in Asheville, NC, No Evil Foods makes soy-free “plant meats” that use a similar graphic aesthetic to demonstrate how non-traditional foods can bridge old-school ingredients with contemporary tastes. Unlike traditional meat replacements like seitan or tempeh, No Evil Foods creates mock meats that use a bit of vital wheat gluten (the building block of seitan), no soy and plenty of spices for a savory meal. In communicating their product, they’re careful to avoid using design elements that might connote “processed.” Like Upton Naturals, they use untreated cardboard as a base. On the front of the package is emblazoned with a stamp-like, full color graphic that depicts the animal inspiration contained inside. Bright colors emphasize the life of the animal depicted and this life is reinforced through slogans such as “in plants we trust.” The back of the box is emblazoned with the words “handcrafted,” “artisan,” and “taste.” Including these words is essential to imply that the foods contained within are real, not processed. Combined, the colors, raw material and slogans create the effect of a natural product. Although tofu remains a common vegan meat alternative, there are fewer companies reimagining how to package it, at least fewer based in the United States. 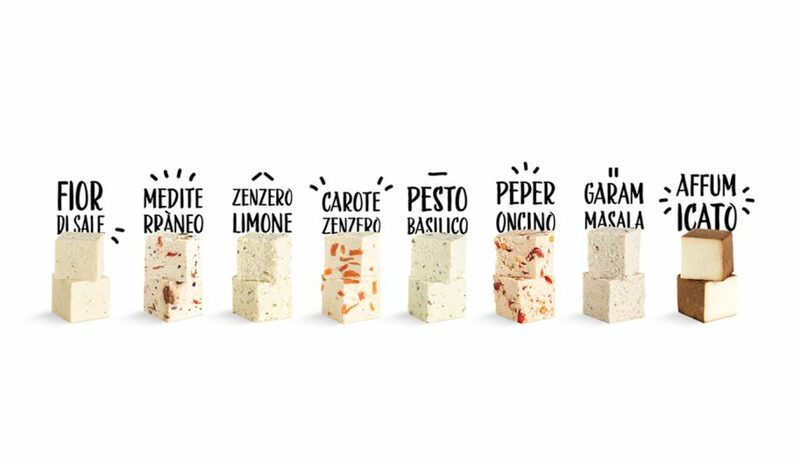 The company I Like Tofu is based in Europe and has packaging designed by Slovenian firm FORK. Each flavor comes in a tall cardboard container, divided into a white top half and a colorful bottom bit. On the white background is a series of black and white line drawings, which depict the ingredients used to flavor the tofu. On the colorful section is a description of the flavor in a font that resembles handwriting. Flip the package over and you’ll find a clear, circular window through which you can see the food and the panel of nutrition facts. While this packaging demonstrates many of the graphic symbols used by Upton Naturals, No Evil Foods and Tofurky, the emphasis on color and flavor demonstrates the different state of the alt-meat market in Italy as opposed to the United States. In the United States, naturalness needs to be foregrounded. In Italy, the flavor needs to be foregrounded. That being said, all products from both countries work hard to make sure their product is transparent. This separates them from the idea of processed food. 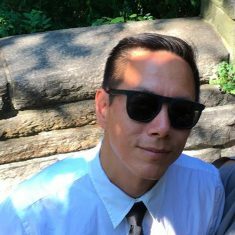 John Lee is an editor, creative director and designer based in NYC.